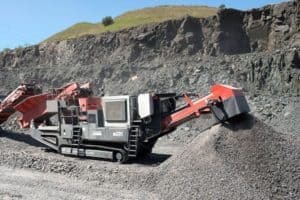 Our UJ540 tracked jaw crusher has been designed to meet your needs in the most demanding hard rock applications. 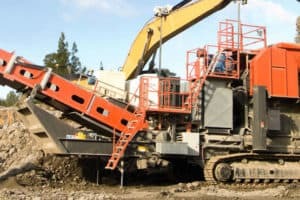 We have created a unique feed arrangement consisting of feeder with grizzly, by-pass chute, fines screen and an optional fines conveyor if you need it. 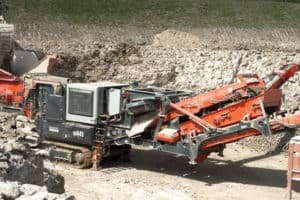 You will maximise production as the UJ540 allows for high by-pass rates.You can utilise the screen for separating and stockpiling a sellable 0-fraction. 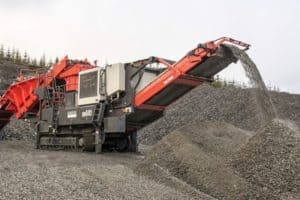 The crusher intake and chamber configuration allow for large boulders to be crushed without damaging the crusher or causing you any delays.